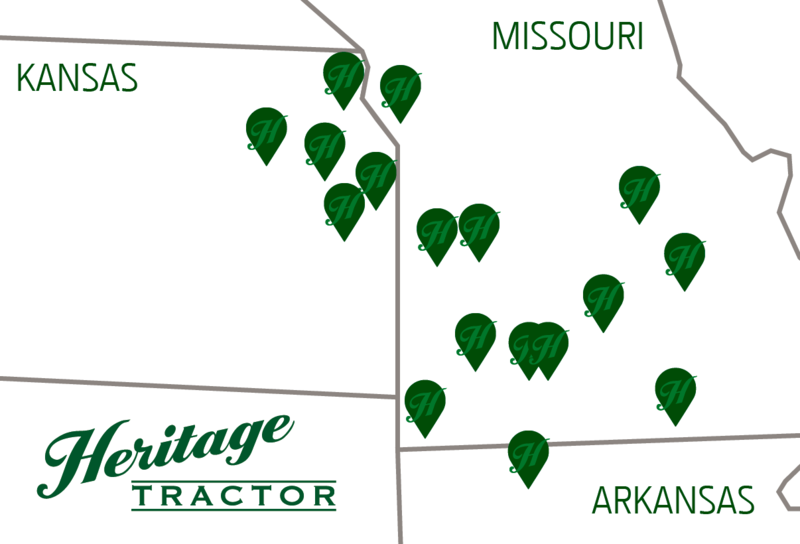 About Heritage Tractor: Heritage Tractor is a full-service John Deere dealership that provides agricultural and outdoor maintenance equipment as well as OEM parts and certified service. The company has proudly served customers since 1998. About Larson Farm and Lawn: Larson Farm and Lawn has been providing quality John Deere products and exceptional service since 1999. The full-line John Deere dealer group has built teams of qualified, highly trained professionals to provide customers the best service for their agricultural needs at nine John Deere facilities located throughout Missouri and Arkansas. For more information about Larson Farm and Lawn, call 417-865-5355, visit www.larsonjd.com or contact President and CEO Glenn Larson at glenn@tlgtrucks.com.